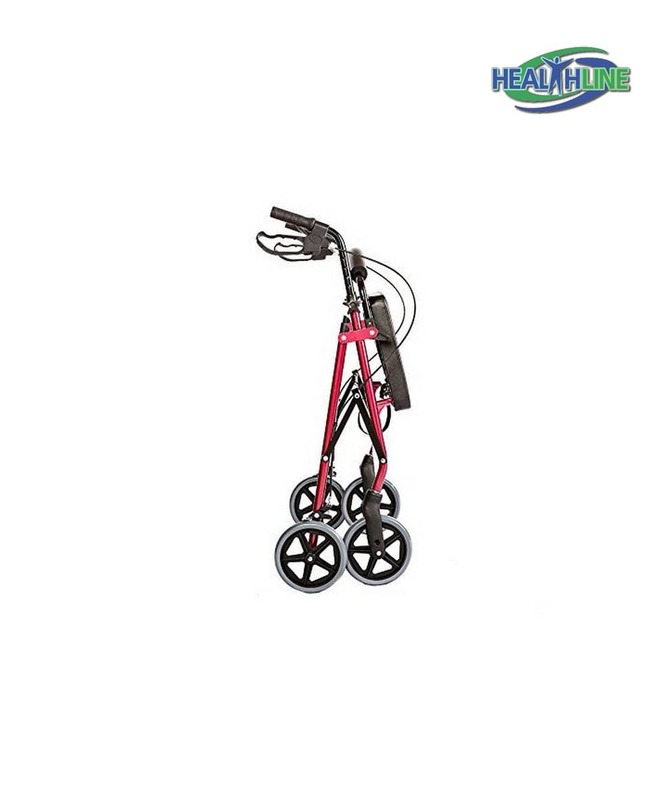 A heavy duty rollator from Healthline Trading is a great overall choice for either a post hip surgery or a bariatric surgery patient. 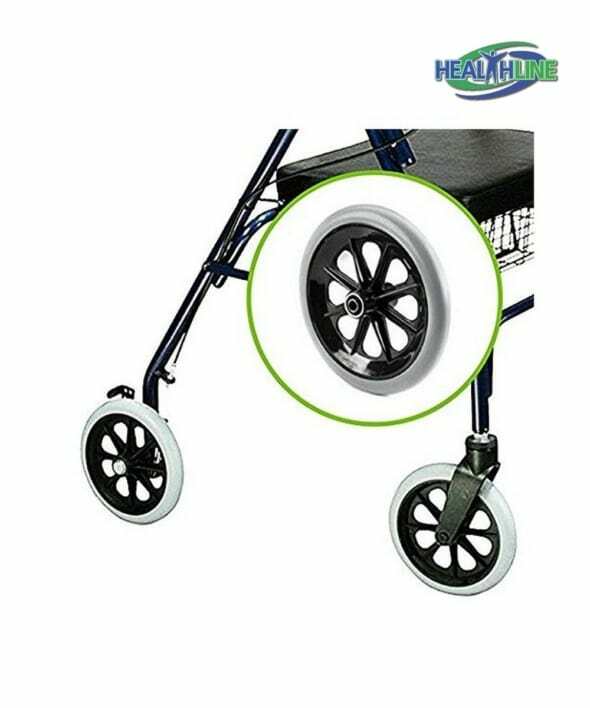 Some elderly people and those that are partially impaired prefer to use this type of device as a help up or a walking aid. 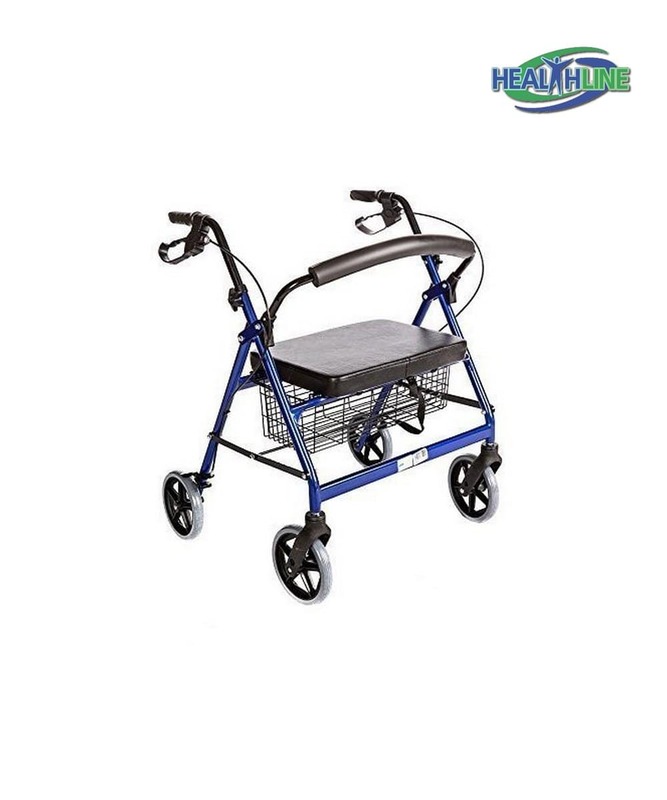 Made for convenient walking, sitting and storing things while out and about, this heavy duty rollator walker with seat weighs around 27 pounds and can handle up to four hundred pounds of body weight. 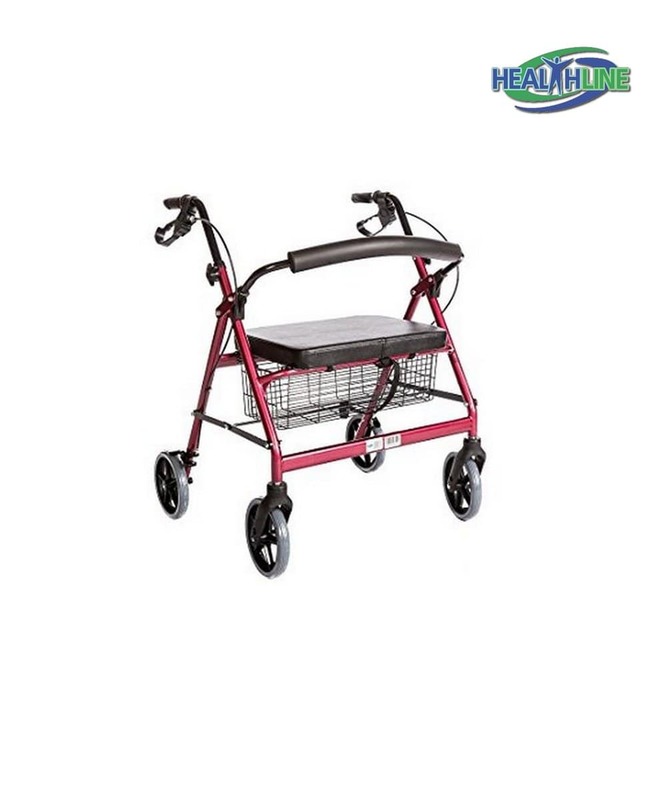 This heavy duty rollator walker is made of high-quality steel alloy. Four durable casters provide maneuverability and control. The dual hand look-lock brake provides efficient control over moving and stopping motion. The big prerogative of this particular model is how easily it folds into compact shape allowing for fast and swift collection for storage or transportation. The rollator is made in the color Blue. has seat depth of 13 inches, seat width of 18 inches, seat height of 21 inches. This item is usually bought for people with limited dexterity, so that they always had a place to seat and rest when going out. This rollator has 400 pound weight capacity, a wide seat and is made in three colors: blue, black and red. This heavy duty rolling walker is very sturdy. I have been using it for 5 months and I just love it. It is great to feel support when walking, and it is convenient to sit when tired. I’m pretty sure, this walker will last all others. Thanks for selling it in different colors. I’m bored with only silver or black medical equipment. Purchased this walker in blue. Looks good. I had a complicated surgery last year and doctors told me to use an extra wide walker for a couple of months. I’m very happy with this product. This walker is sturdy and nice to walk with. Most of all I appreciate the padded seat, very comfortable to sit on when get tired. I picked a black one, as I don’t like how red and blue models look in the pictures.